There's a historic red ship docked in Boston Harbor that's up for sale for the tidy sum of $5.2 million. 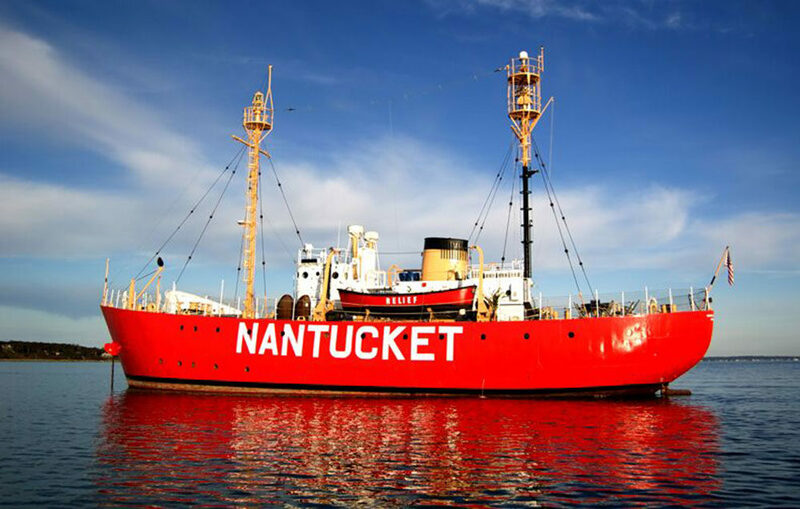 According to the Wall Street Journal, Bill Golden, a former state senator, and his wife purchased the former Nantucket lightship from the state back in 2000, winning an eBay auction for $126,100. Now, after spending "millions of dollars restoring the ship," as the WSJ reports, and living there part-time, the couple is selling. Its listing says the 128-foot ship includes six bedrooms, six-and-a-half baths and 4,000 square feet of interior space. A lightship, as we reported back in 2016, is a floating lighthouse. Lightships were stationed off the Massachusetts coast, where they would help guide ships through the Nantucket shoals, a perilous stretch of shallow sandbars. "[T]hat area of the Atlantic is known as one of the graveyards of the Atlantic," Robert Mannino, then-president of the U.S. Lightship Museum, told WBUR in 2016. The Boston Business Journal reports that the ship up for sale was the last lightship in the country before the Coast Guard decommissioned it in 1985. Touring The Nantucket Lightship, Largest Built In The U.S.